Most organizations only realize 60% of their strategies’ potential value due to issues in strategy development and/or execution. This gap between the strategic plan and actual performance results is known as the Strategy-to-Performance Gap. This presentation explains the Strategy-to-Performance Gap, its root causes, as well as identifies 7 rules to follow to close this gap. These rules allow an organization to objectively assess any performance shortfall and determine whether it originates from the strategy, the plan, the execution, or its employees’ capabilities. 1. Keep it simple--make it concrete. 2. Debate assumptions, not forecasts. 3. Use a rigorous framework--speak a common language. 4. Discuss resource allocation early. 7. 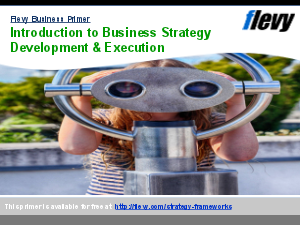 Reward and develop execution capabilities. By closing the Strategy-to-Performance Gap, organizations also eventually develop a culture of overperformance.